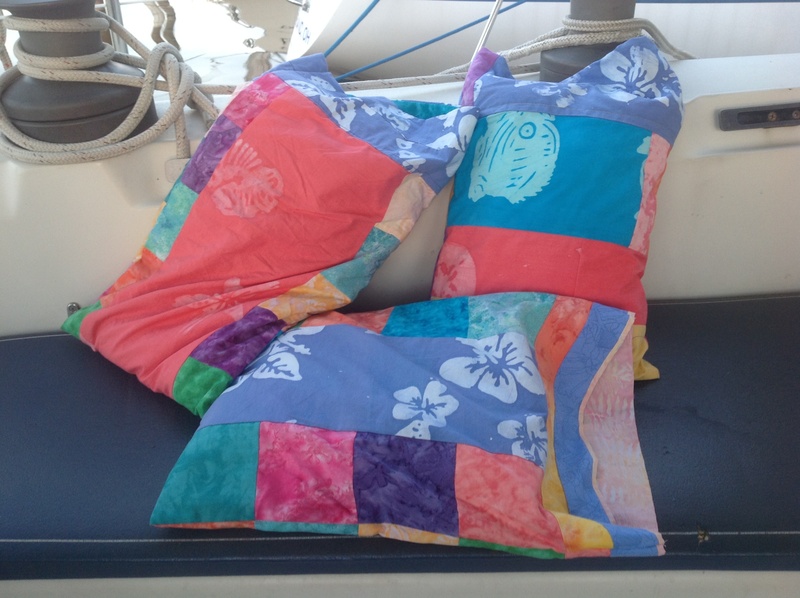 It’s interesting how quickly life can change on the boat, all dependent on the weather.
. Tuesday evening I was working on sewing pillowcases from my left over Bahamian fabric. See below. About 11pm, Just after cleaning up and getting into the car to drive down to the dock, a BIG wind came and 1+ft waves were going UP river! Was I going to make it to the boat before the thunderstorm started? Yes but didn’t have time to put away my sewing machine and other supplies. I got on the boat with the essentials, and realized that I had left my iPad in my car. Running though the just starting rain, I made it to the car and back onto the boat just in time. 5-10 min later, the water in the river rose 2 feet and now the dock was under water about 6″, the dock lines were tight and we were heeled over about 15 degrees from the force of the wind. So much for going to sleep. 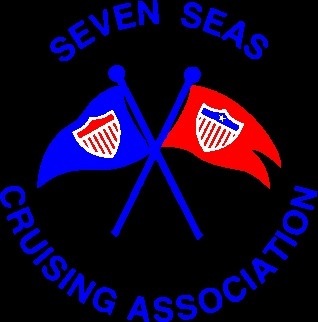 The wind lasted about 20 min, and the rain slowed down and it wasn’t into 1150pm that we were able to go to sleep. Next morning after the alarm went off at 6am, I went outside to my dock box closet to get work clothes, and noticed water spurting about 18″ into the air from one of the water pipes down a few docks. 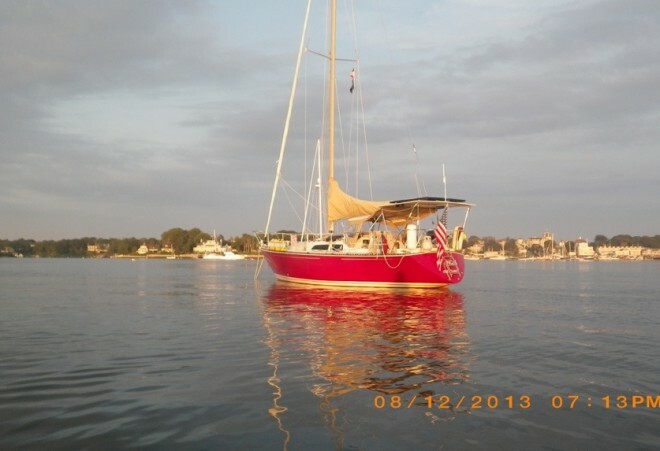 The 31′ Island Packet was loose when the tight stern dock line pulled up one of the boards off the dock and her long bow sprit had rammed the pipe breaking the pipe at the connection fitting. I woke Phil and he didn’t know where the water shut off valve was. I called the Commodore, but being retired, he was asleep. Who to call?? I know!, George, who even though he is retired too, was awake. He did know where the water cut off valve was; quickly and effectively giving me directions and in no time the water was turned off. Now back to getting ready for work and being a shower day, I got down to business and was only a little behind when all was said and done. Phil and fellow club member, Ross, worked together that morning each using their unique skills, and by the time I got home from work, the water pipe was repaired. If this is the worse evening after we leave on our trip, we’ll be lucky. This entry was posted in 2013, Lorraine's Projects, Ohio, Sewing and tagged Bahamian fabric, hobbies, sewing. Bookmark the permalink. Thanks Leona! Thank you also for the opportunity to work extra for your team. I’ll miss you all too!